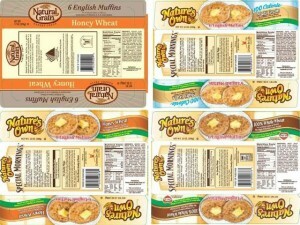 Flower Foods announced, on May 3, a product recall regarding its One Bread products, as well as specific varieties of its English Muffins. The recall was made because of the possibility of the presence of small metal pieces. Most of the recalled products are still in the company’s possession, however, those that have been sent to the retailers have been added to recall list, just as an added precaution. Retailers that have received the recalled products are advised to remove it from their displays and hold it for the company to pick up. All recalled products have “best by” dates and codes of 0355 119 May 11 and 0355 120 May 12. No health incidents related to the recalled products were reported. The affected products have been distributed to different retail stores in Alabama, Arizona, Arkansas, Delaware, Georgia, Florida, Indiana, Louisiana, Kentucky, Maryland, Missouri, Mississippi, New Mexico, Oklahoma, North Carolina, South Carolina, Texas, Tennessee, West Virginia, Virginia, Southern California, Southern Illinois, Southwest Colorado, Southeast Kansas, central and south Nevada, southern Ohio, southwestern Utah, southern New Jersey, southern Pennsylvania. Customers who were sold the recalled products are allowed to take the refund in return of the products. They can also call the company’s Customer Service Department’s hotline, 1-866-245-8921.